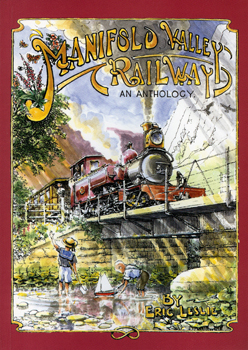 A romantic look at this delightful narrow gauge railway, beautifully illustrated with Eric Leslie’s evocative drawings, and sister volume to the popular Lynton & Barnstaple Railway, An Anthology. This anthology is not technical – this aspect has been covered in other publications. This book is more an appreciation of the surrounding countryside, its people and their daily work, plus the huge number of visitors who take delight in what the area has in abundance – beautiful scenery and a sense of great peace. This book will take the reader on a nostalgic trip along the route, through snippets of contemporary writing. The events an people involved all pre-date 1934. How fortunate that their experiences are set down for us to savour in a world which they would nowadays barely recognise! A5 format, 64 pages, 40 drawings.